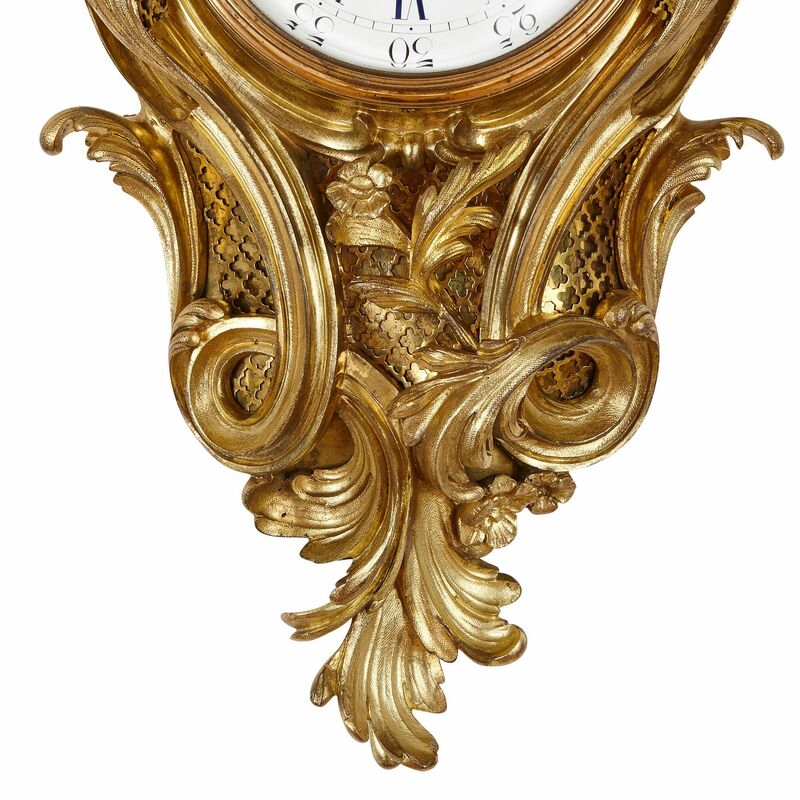 Created in France in the late 19th Century, this clock and barometer are covered with beautiful, undulating ormolu forms that have been inspired by nature. 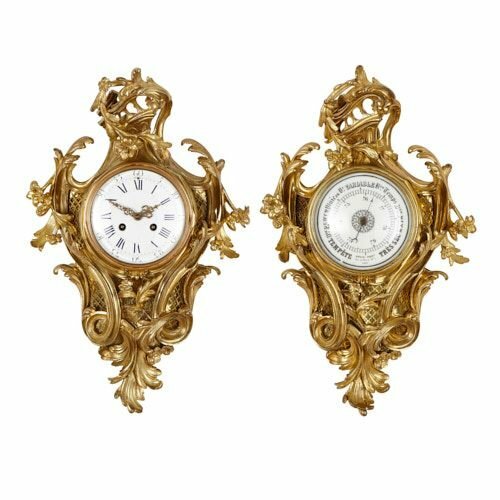 This fine two-piece clock and barometer set are designed in the Louis XV style (French Rococo style), with central enamel dials enclosed within scrolling, foliate ormolu bodies. While their decoration is undulating and organic in character, it is also symmetrical and carefully composed. 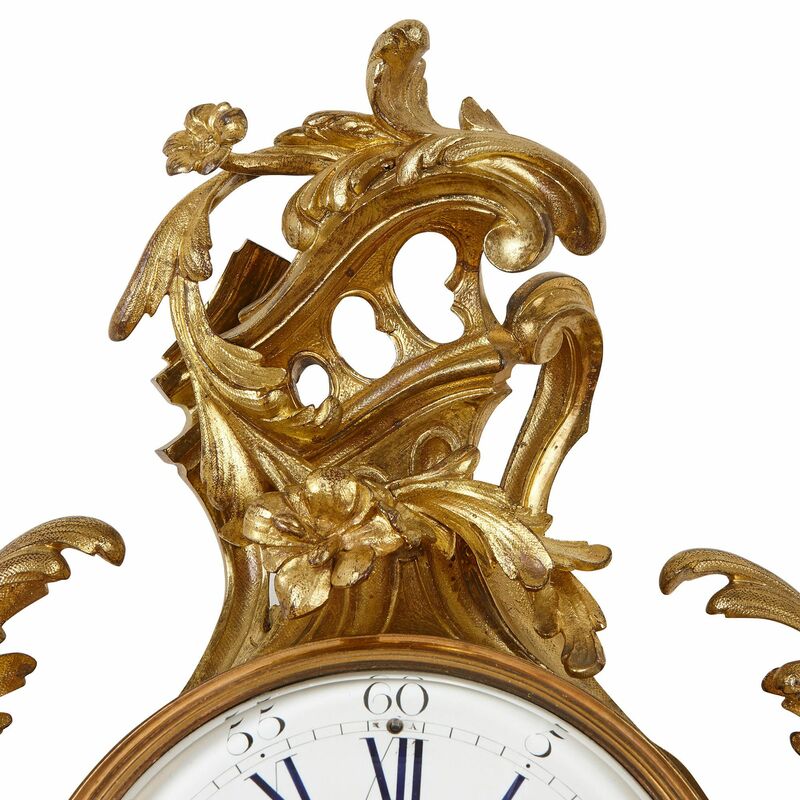 The lower region of each piece features an acanthus leaf finial, which grows upwards, before twisting around to form twin loops, and continuing up to the sides of the piece. Delicate flowers decorate the lower part and sides of each piece. Behind these scrolling vines, the surface of the pieces are pierced with quatrefoils. 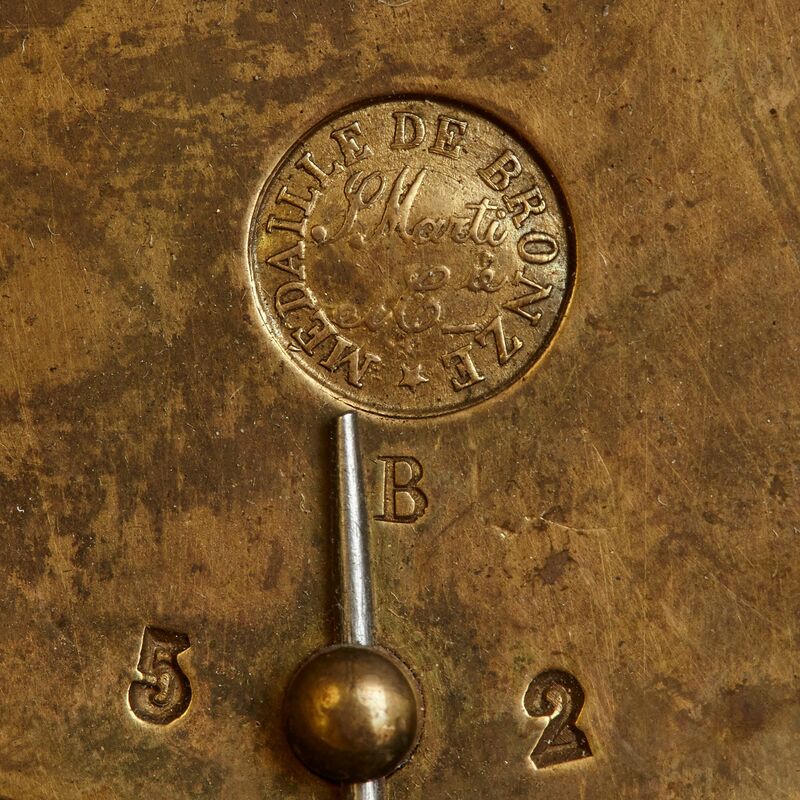 The enamel dial, of both the clock and barometer, is found at the centre of the design. 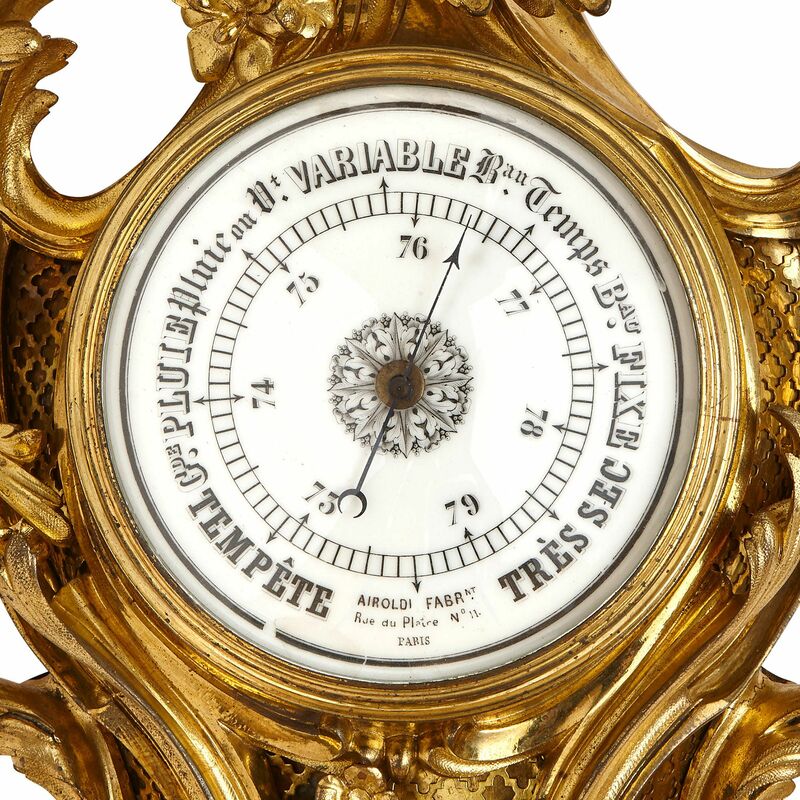 The clock face features both Roman Numerals and Western Arabic Numerals, while the aneroid barometer dial is inscribed with numbers and weather conditions. 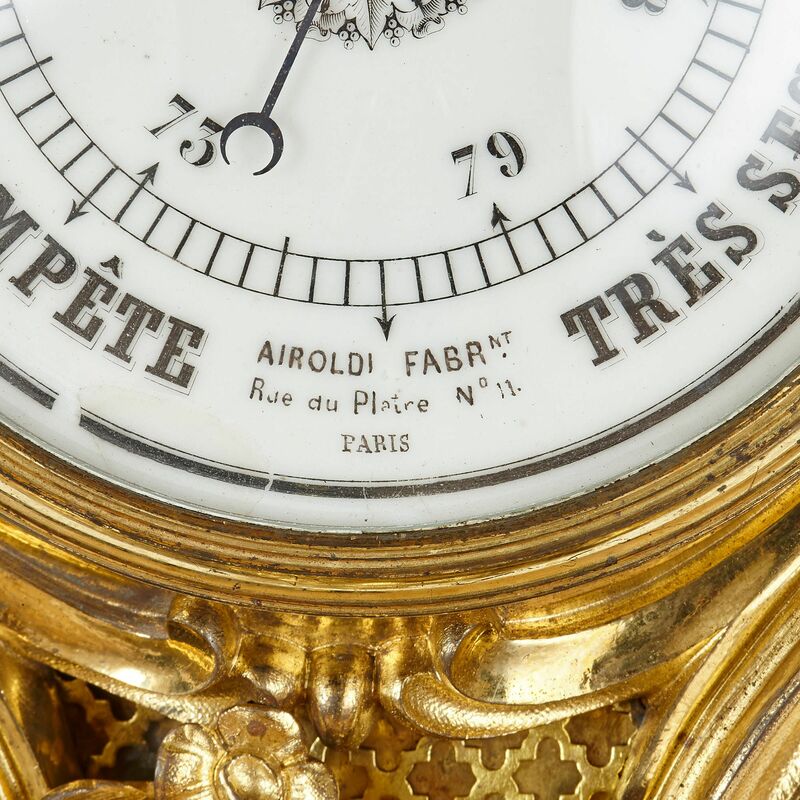 The latter also features the inscription of its maker 'AIROLDI FABRNT / Rue du Platre No11 / PARIS'. 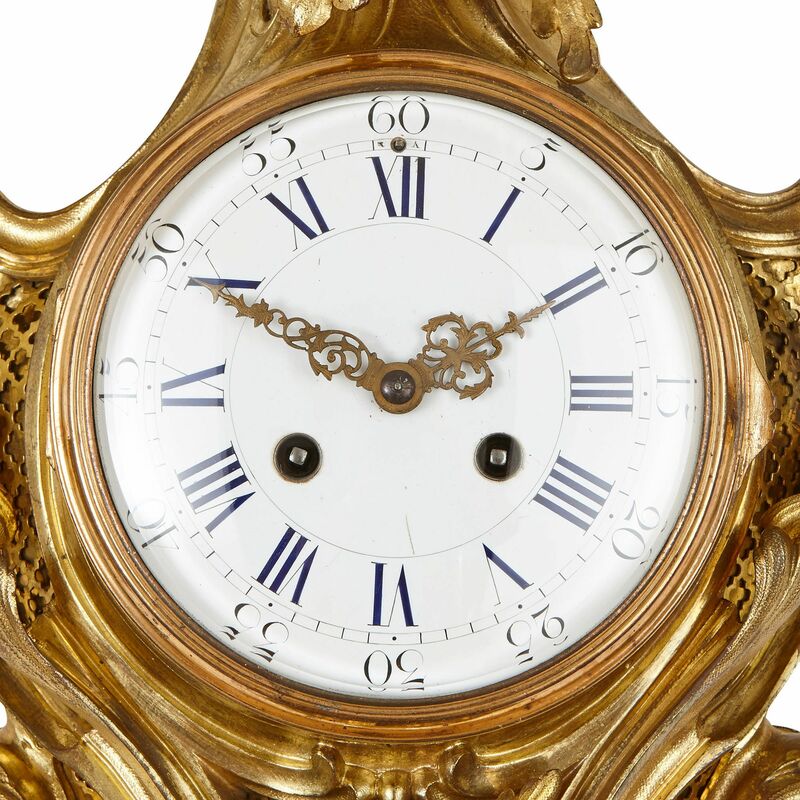 Each enamel dial is topped by a pierced architectural form, which is decorated with flowers. 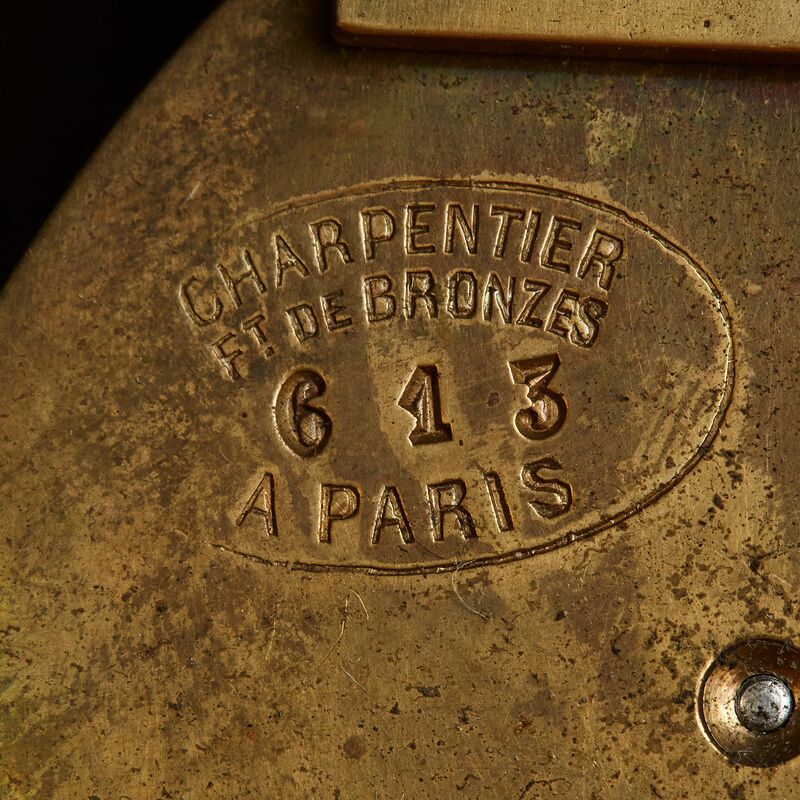 'CHARPENTIER / FT DE BRONZES / A PARIS / 613' is stamped onto the reverse of the cartel clock. Charpentier - creator of the elaborate gilt bronze cases for these two pieces - was a renowned Parisian bronzier, who won many awards for the work that he showed at International Exhibitions, both in Paris and abroad.